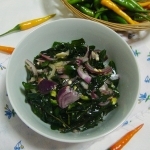 I thought of sharing a healthy salad recipe for this Valentine’s Day. Among all heart shaped romantic looking desserts, my post is not a sweet treat. 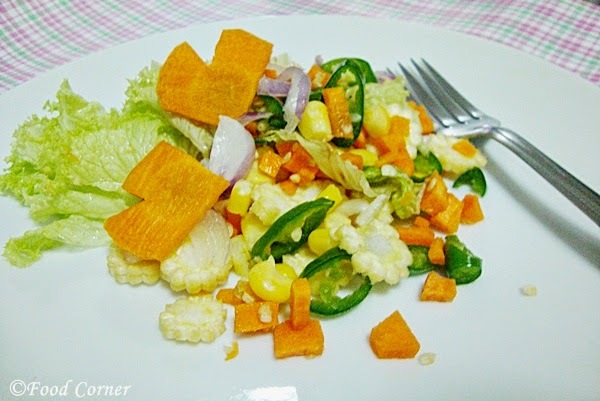 It is a simple carrot and corn salad garnished with heart shaped carrots. If you consider healthy eating, adding different colour to your meal is essential. As you know, carrot really helps our eyesight. 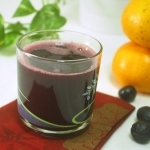 This is simply due to the beta-carotene in it which gives the orange color to carrot. Also carrot is rich with vitamin A in large amounts in the form of beta carotene. And of course, not only for me, for many others carrot is considered as one of the top most salad requirements due to its taste, colour and benefits. How about you? Do you like to add carrot in your salad? 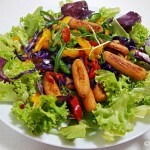 For this hearty salad, I also added some sweet corn and baby corn. Instead of removing corn from cob, I used frozen corn. It is really easy to have some frozen corn and use when necessary. Usually I buy baby corn each week and the most favourite way of mine is to use baby corn in fried rice or fried vermicelli. But this time, I used it on a salad and found it as a good idea. Anyway, before adding to the recipe, I blanched baby corn in hot water just to remove the raw taste. 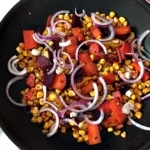 Here is my recipe for hearty carrot and corn salad. Don’t forget to use heart shaped carrots to garnish the salad. First using about 1 inch part of the carrot .Cut few heart shapes from the carrot for garnishing. Steam the remaining carrot till it is soft. Once it is done, cut into bite size pieces and place on a serving plate. Add corn and sweet corn into hot water and keep about 1 minute. Slice sweet corn into small pieces. Add sweet corn slices and sweet corn into the same serving plate. 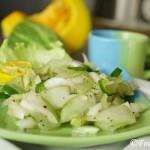 Slice onion and green chili and add to the same plate. Drizzle about 1 tspn olive oil and mix well. 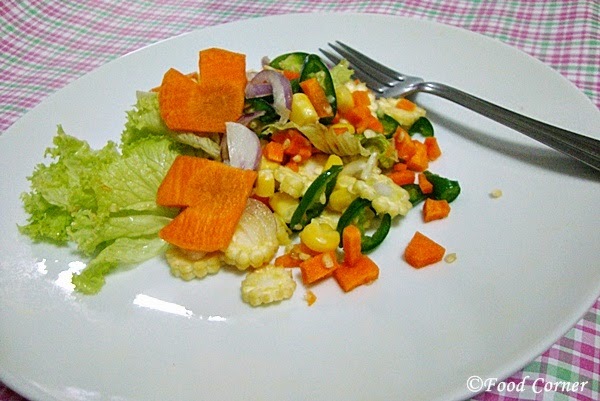 Serve the carrot, corn salad garnished with carrot hearts. That is so lovely. Little effort on the hearts for an appealing salad. 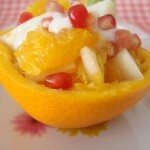 A great salad! I love all vegetables! 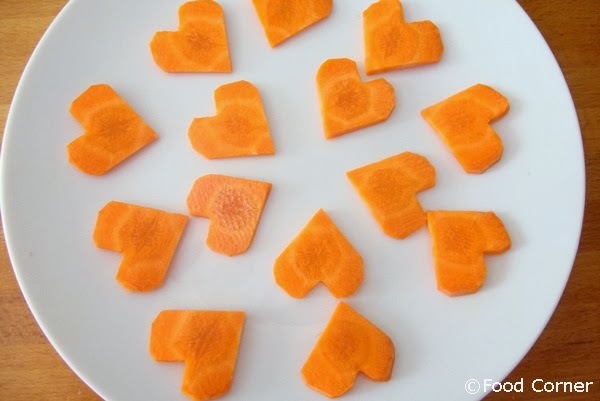 Great idea are these hearts of carrots! It looks too beautiful to eat! Thank you for linking up at the Home Matters Linky Party this week!